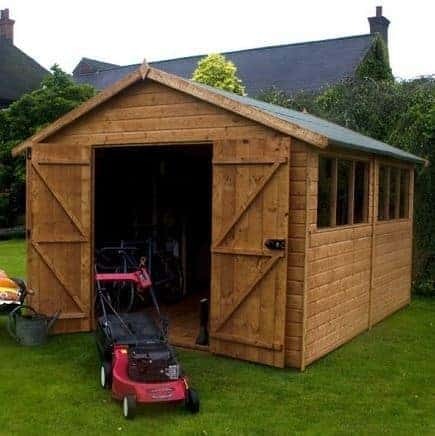 This wonderfully traditional wooden workshop shed brings you massive storage potential. 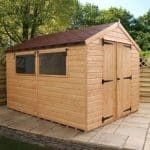 Reassuringly, the shed comes with some double doors that can definitely be classed as heavy duty. 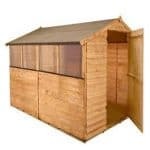 Around the shed is tongue and groove cladding, which brings extra protection against the elements. 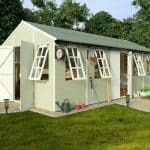 Styrene-glazed windows that run the length of the building guarantee light. 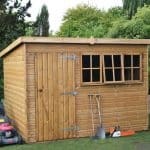 Two of the windows are hinged, so you also gain more air circulation. 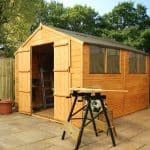 The workshop also comes with a special rim lock, which ensures your equipment and tools are kept safe. 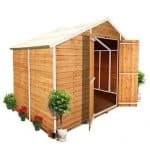 This is a highly practical shed and one that will grace any garden.